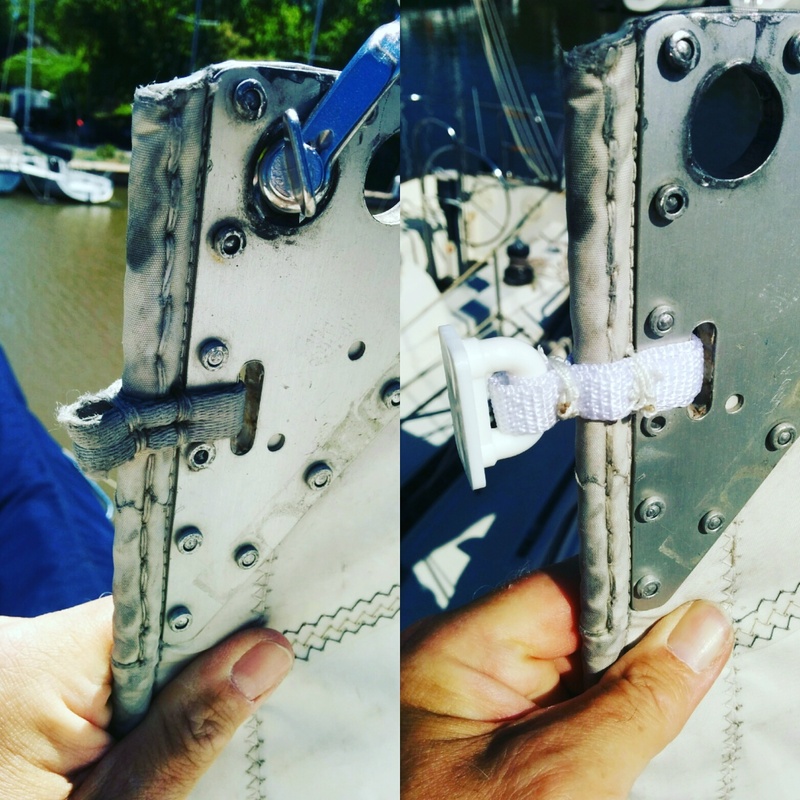 When I returned from my round the island sail two weeks ago, I noticed I had broken the top sail slide. Not a big deal, but the head of the sail has a metal plate and the slide doesnt attach the same way as the other slides. I was puzzled at how I was going fix it. In the spirit of “work the problem” I pulled apart the stitching. Once I understood how it attached I knew I could fix it. After a supply run to the local fabric store, it only took an hour.